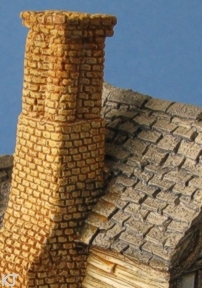 Very early pieces have just two rows of bricks around the top of the chimney (Mould 1). 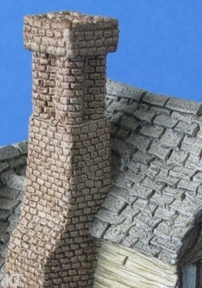 For Mould 2 two extra rows of bricks were then added (making the chimney seem shorter but it is the same height). 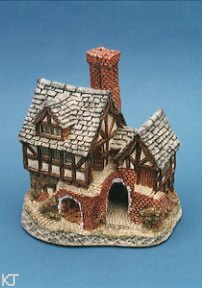 Then for Mould 3 the top band of bricks was reduced to three rows and greenery was added further up the rear wall and between the chimney and roof at the back. Mould 2 is an undocumented restyle.